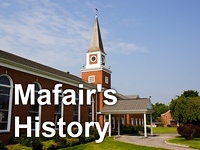 Mafair UMC: So... Was He a King? Is He Mine? So... Was He a King? Is He Mine? "So... Was He a King? Is He Mine?" is the message given by Rev. Amy Probst at Mafair United Methodist Church on November 26, 2017.